Welcome to Minnesota's (MN) - the endless miles of scenic lake shores and rocky hillside beauty. 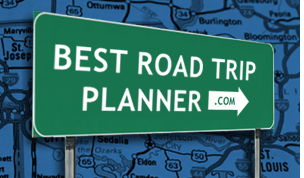 Explore the land of great road trip destinations and scenic drives as you travel through three spectacular regions within the state: the North Central/West region, home to Minnesota's largest lakes; the Northeast region with rapids bearing rivers and the magnificent Lake Superior; and the Southern region where Minnesota River joins the Mississippi at the Twin Cities. The North Star State boasts its 10,000 lakes and other waterways. So whether you fish, boat or just enjoy sitting at the lakeside, you'll find appropriate waters somewhere in the state. Lakeside resorts and cottages abound offering each visitor a great escape from stresses of everyday life. If you're not sure how to spend your next vacation, come to Minnesota, you'll love it. The town of Marcell is a good stopping place for food, gas or a little shopping. Most of this road trip travels through rural areas however there are towns that are nicely spaced throughout its path.